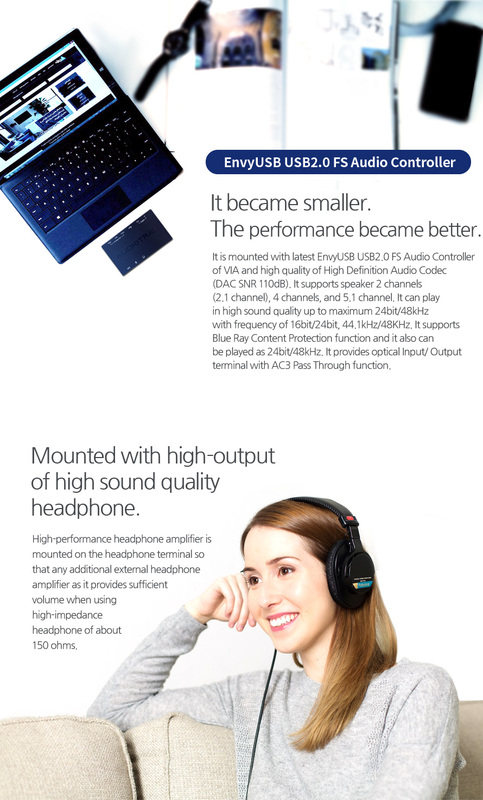 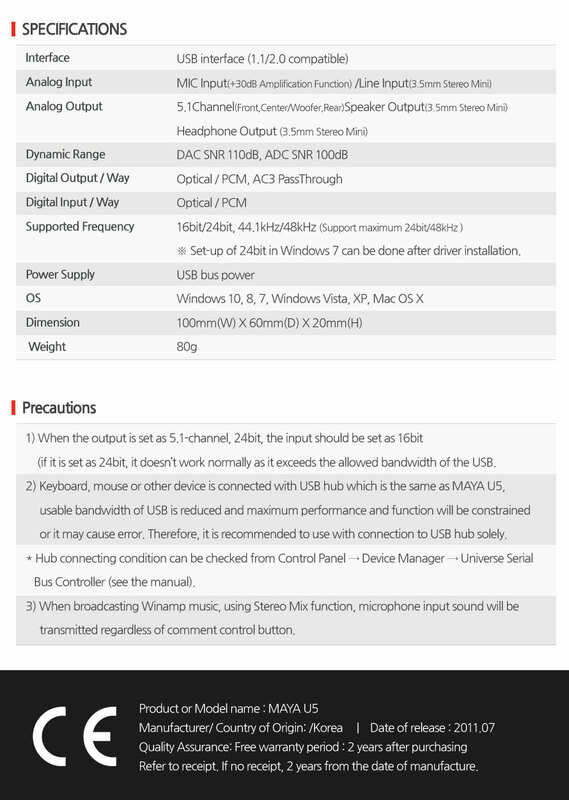 VIA’s latest EnvyUSB USB2.0 FS audio controller and high quality High Definition audio codec(DAC SNR 110dB) are mounted. 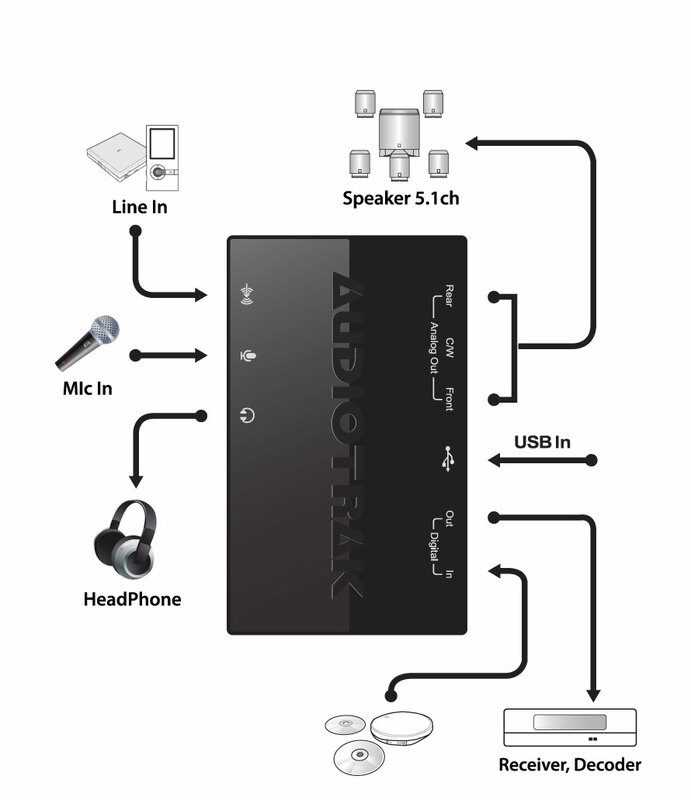 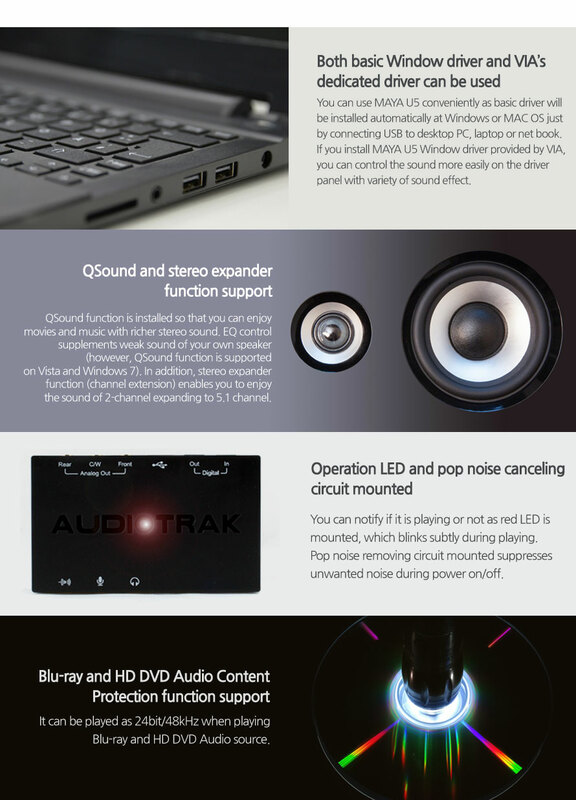 This supports speakers of 2 channel(2.1 channel), 4 channel, 5.1 channel and has high quality playback sound of maximum 24bit/48kHz with supporting frequency of 16bit/24bit, 44.1kHz/48kHz. 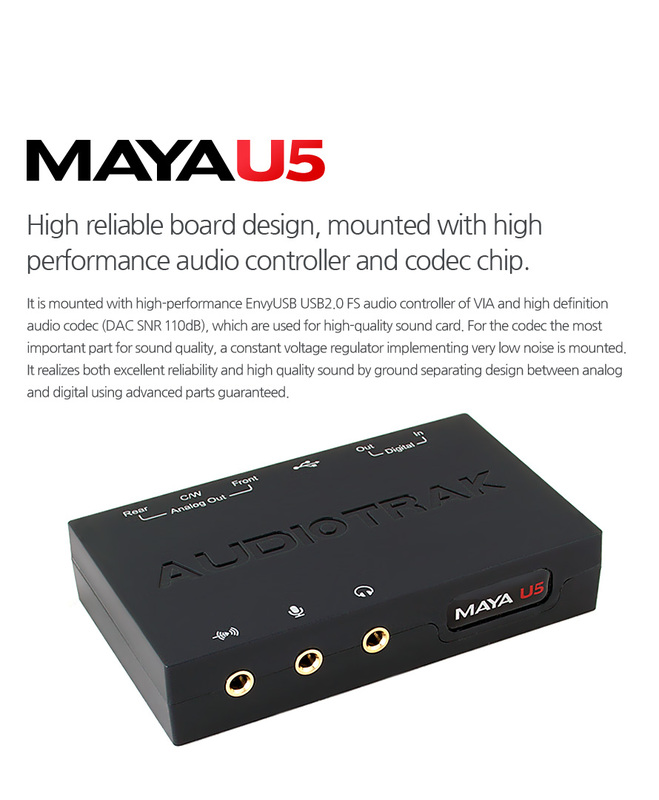 This provides optical output and input terminals which makes playback even at 24bit/48kHz supporting Blue Ray Control Protection function and also supports AC3 PassThrough function.